Durchmesser der Brosche: ca. 4 cm. WG 585 und WG 333. 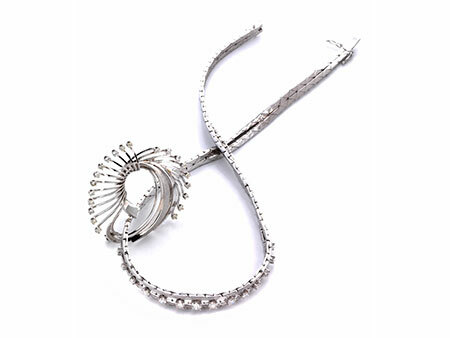 Necklace length: ca. 40 cm. Brooch diameter: ca. 4 cm. 14 ct white gold and 8 ct white gold. 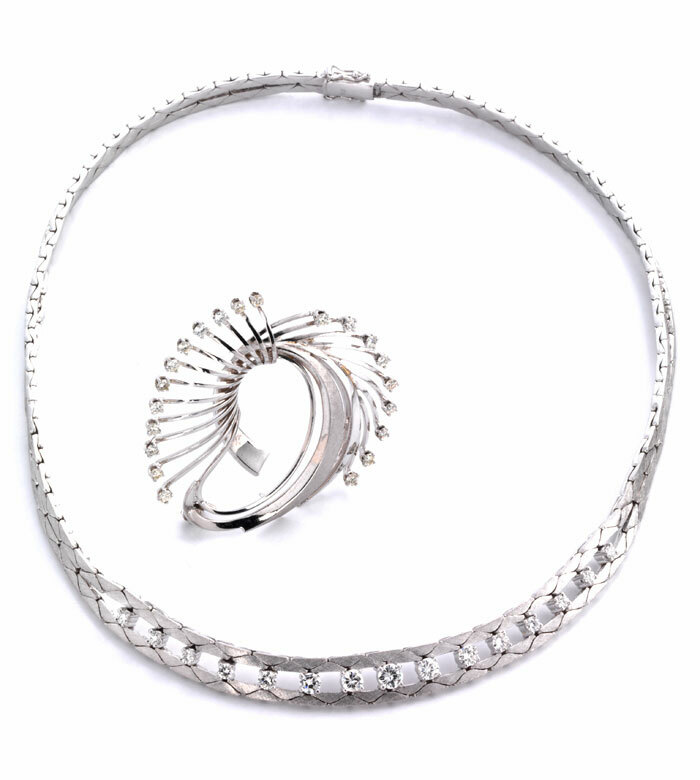 Set comprising matted necklace with brilliant-cut diamonds, altogether ca. 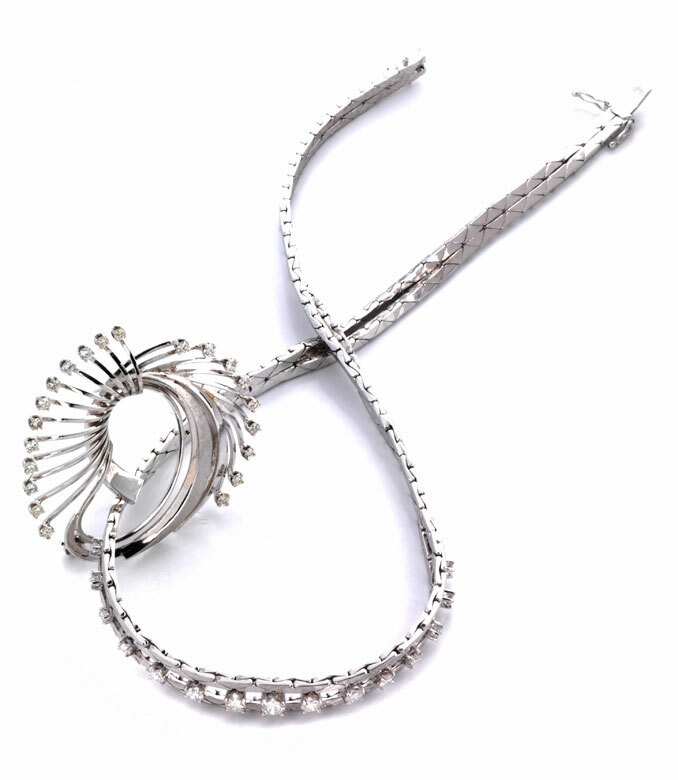 1.3 ct, and curved brooch with brilliant-cut diamonds, altogether ca. 0.76 ct.